Cash Converters N1 City has some scruffy looking Music Fidelity kit for sale . A CDP2 and a matching moerse big A308 amp i think. It is the newer shiny brushed aluminium fascia. TimberCity in Blairgowrie, Randburg: Decent prices, discounts given even without asking, instant cutting, very, very precise. Used them only once so far, the service was perfect. It varies, depending on who you speak to. Some of the guys there are really nice & helpful, some (one really) are not very interested in finding out what you need. So if you don't get anywhere - change to a different salesman. Just thought someone may be interested. Pair of Wilson Watt Puppy 5. 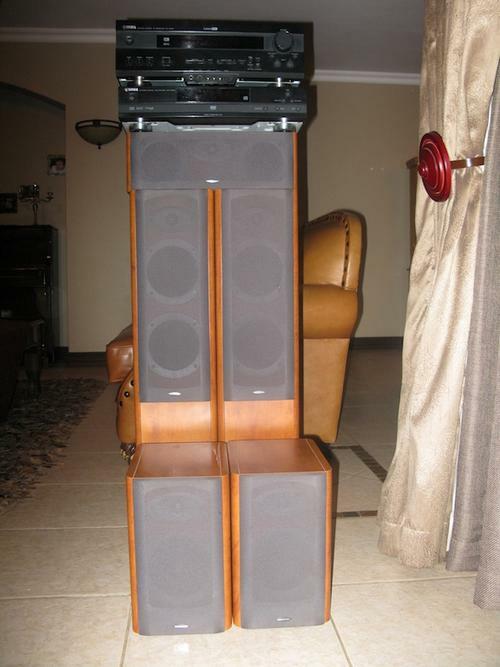 1 speakers in black for sale. Very good condition, perfect acoustically. Includes original wood crates, manual extra tuning ports, grills and puppy paws. Upgrading is just as certain as death and taxes. I will reply to his ad and waste a bit of the idiots time.